This is a book I finished with a sigh and satisfied smile. Isn't that the best feeling? The premise of the book and series with Lord Elliot's marriage campaign is unique and intriguing, and I'm looking forward to the books that are sure to follow. This first book focused not only on the oldest nephew, Peter, but also explored the history of Lord Elliot's past relationship with Peter's governess's mother. The four-person point of view wasn't overwhelming at all, but seamlessly woven together in a lovely balance as each character worked through their issues. I especially loved Julia and her selfless service for Peter and his children, even though she doesn't have a need for employment. The slowly blossoming romance between her and Peter was oh-so-good and despite the conflicting family dynamics, they are able to find their way to a happily-ever after. 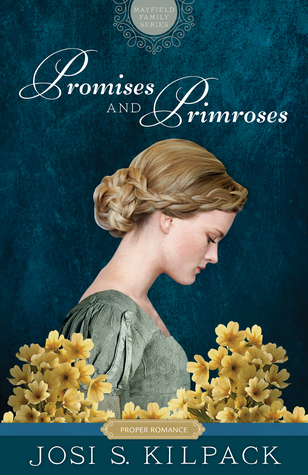 Such a wonderful Regency romance with depth and the promise of more to come!